Fun, informative, and effective dentistry in Chandler, AZ. Keep Your Whole Family Smiling! Meeting your family’s oral health needs is convenient when the entire family can be seen in one office. Dr. Walker and our team love working with patients of all ages, young and old! 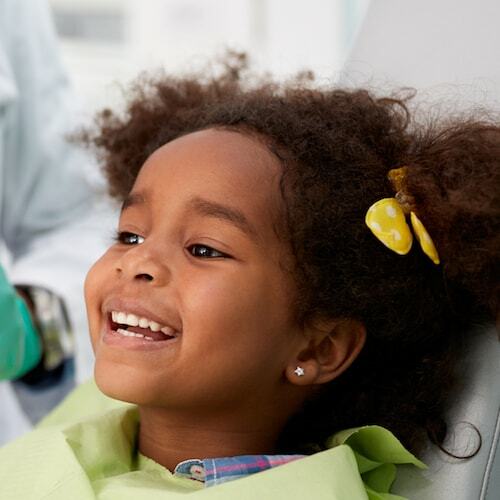 As a provider of children’s dentistry in Chandler, AZ, Dr. Walker understands how important it is for children to form a positive image of the dentist from the very start. We believe an enjoyable experience is among the best ways to prevent dental phobias or anxieties into adulthood. These early visits are centered on preventive care. This way Dr. Walker and our hygienists have the opportunity to prevent or catch decay in the earliest stages, allowing for the most minimally-invasive and comfortable treatments. An experience built around the needs of younger patients. We often recommend bringing your child in to one of your appointments with you, so their first time in the dental office is built around getting to know us instead of having any dental work done. We want your child to develop a positive view of the dentist and enjoy a lifetime of healthy habits. If you are looking for quality dental care, from people who actually care about you, then this is the place! I have been going to Dr. Walker's office for 19 years, since I was 8 years old, he and his staff are simply the best! They go out of their way to make sure you are comfortable and fully understand anything you have concerns about. Protect those hard to reach areas. Believe it or not, there are areas of your teeth that can’t be easily reached with a toothbrush. As a professional family dentist in Chandler, AZ, Dr. Walker takes a proactive approach to protecting your oral health. Dental sealants can be applied to these hard-to-reach areas, sealing out bacteria, and keeping the teeth stronger and healthier. Sealants are thin surface coatings applied to the back teeth to prevent decay. Ideally, a sealant is placed soon after the molar has erupted to seal out the bacteria that causes decay before they have a chance to cause damage. While sealants are usually placed while the patient is still young, there are many adults who can benefit from sealants as well.